My journey to Croatia aroused my curiosity about educational systems outside of The Netherlands and gave direction to my search for ‘inclusion’ worldwide. 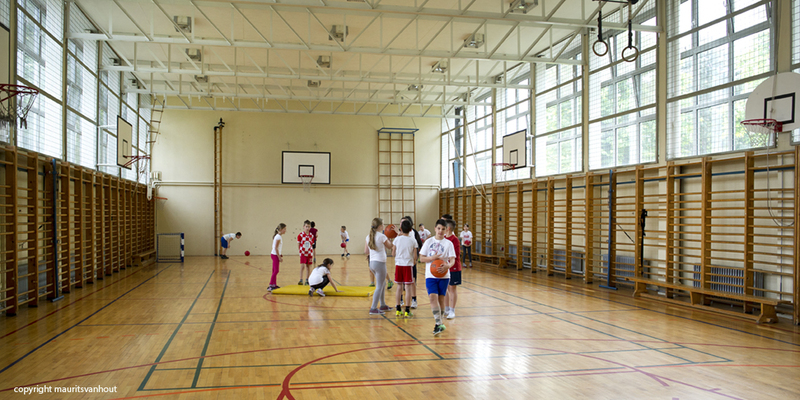 In Croatia, education falls under the responsibility of the Ministry of Science, Education and Sport. This ministry monitors pre-school, primary and secondary education. Pre-school in the Republic of Croatia includes education and care for children between the ages of six months and six years. The state is responsible for the care of children of this age. Primary education in Croatia is obligatory and financed by the state for all children between the ages of five and fifteen years. During the first four years, a group teacher teaches different subjects: arithmetic/mathematics, science and social studies, visual arts and at least one foreign language (usually English). From the fifth up to and including the eight year, several subjects are added to the curriculum, which are taught by subject teachers: history, geography, chemistry, physics and economics. Apart from English, a second foreign language is taught from the fifth year onwards (usually German, French or Italian). Secondary Education is open to all students, but not obligatory. As part of the current educational reforms, the Ministry of Science, Education and Sport intends to gradually introduce secondary schooling. The National Program of Measures for the Introduction of Obligatory Secondary Education was introduced in June 2007, and the majority of the population – 83% of the respondents – favours these reforms. In 2017, obligatory secondary education is not a fact yet. There are two kinds of secondary education in Croatia: grammar school and vocational education. Grammar school is divided into four different sections: mathematics and science (beta), languages (alpha), classical languages and culture (Greek and Latin) and a general section. De schools for vocational training are aimed at particular occupational groups. Students take a state exam (Državna matura), whichs rounds off their secondary education. University (sveucilišta): Universities have different Faculties or Departments and usually a campus with student centres, medical facilities, libraries and technological centres. Professional Studies: professional programmes which are comparable to our colleges of advanced education (veleucilišta) or academies (visoka škola). These programs are usually specialized in and aimed at professional skills. For the past ten years, the higher educational programme has been reformed to meet the criteria of the Bologna Process, which is aimed at ensuring comparability in the standards and quality of higher-education qualifications in European countries. Since 2005, Croatia meets these standards. Croatia also has private education, which in general offers better learning circumstances to students than public schools. Some private schools offer a special focus or special educational philosophy (such as Waldorf education). School fees vary from school to school and are usually dependent on the level of the education offered. Amounts vary from € 1,500 to € 6,000 per year. Sometimes, schools ask a single fee for the duration of the entire education. In accordance with the guidelines of the Bologna Process, the Croatian higher educational system is subdivided into three levels: bachelor, master and post-doctorate studies. Croatia has a binary system of higher education, in which students have to choose between academic studies (which cover all three levels) or professional studies (which cover only the first two levels). Approximately seven to nine million Roma live in the European Union, of which around 6,000 in The Netherlands. Historically, discrimination of this group is especially apparent in Eastern-European countries. The European Union demands a policy to tackle this issue if a country wants to be admitted to the EU. Unfortunately, discrimination is still very common, especially in the educational system. A third of all Roma children in Croatia does not or irregularly attend school. Schools often offer different programs to these children, and sometimes they even have a special entrance. Teaching materials still speak negatively about Roma. Because of the negative representation of Roma, Roma children do not get equal opportunities. Inclusion of this particular group is not a reality yet. To reach inclusion, a broad public debate, focussed on integrating Roma, is needed. Reducing inequality and advancing integration is a priority. Croatia has the lowest amount of dropouts in the EU: 2.8% in 2015, in comparison to a European average of 11%. In 2013, Croatia met the criteria of the European objective of 4% for 2020. This percentage, however, needs to be regarded with caution. Over the last ten years, there has been an increase in participation in both pre- and early-school education as well as in care, but it is still the lowest in Europe, with 72,4% in comparison to a European average of 94,3% in 2014. An important contributing factor is the shortage of places for pre-schoolers in cities and smaller villages. This impedes access to primary education. The amount of private institutions increased by almost 10% (National Statistics Office 2016). There is an increase in the amount of Roma children participating in early-school education (from 769 in 2013/2014 to 1026 in 2015/2016. Source: Government Bureau for Human Rights and Rights of National Minorities, 2015). 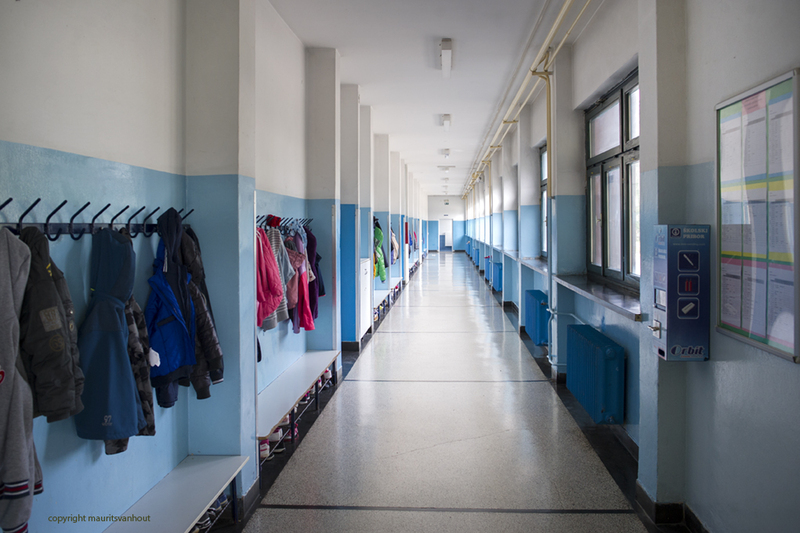 A recent comprehensive survey applauds significant improvements and lists as important challenges: a shortage of information, ongoing poverty, shortage of places in pre-school, and the shortage of Roma assistants (Śikić-Mićanović et al., 2015). During a first meeting with management and teachers, the attitude is positive and very curious about the Dutch system. When we exchange ideas, the biggest difference between both systems appears to be the duration of the schooldays. Because of the shortage of places, children go to school in shifts. Part of them go in the morning, the others in the afternoon. The teachers also work in shifts. As you can read in the articles on Cambodia and Turkey, the shortage of places is solved with shifts in those countries too. Apart from that, it is also striking that the students are arranged in a traditional setting (rows behind each other) and that indeed, in comparison to the amount of children in the school, hardly any pre-schoolers are present (because of the shortage of places). The lack of obligatory education does not, according to the headmasters, appear to influence the amount of youngsters participating in it. Once in school, students tend to remain until their education is finished. Economic circumstances, however, do influence whether or not a student finishes his/her entire education. Discussing the situation with Roma children, the headmasters, depending on how socially involved they are and on the school they work in, appear to have a different attitude. When asked about the inequality in chances for education for Roma children, this different attitude is found right below the surface. Maybe the attitude towards the subjects is even more worrying than the inequality itself. An open and inquisitive attitude towards each other, both among Roma as well as the rest of the population, could perhaps lead to quicker results than the current steady change that is imposed by the government.